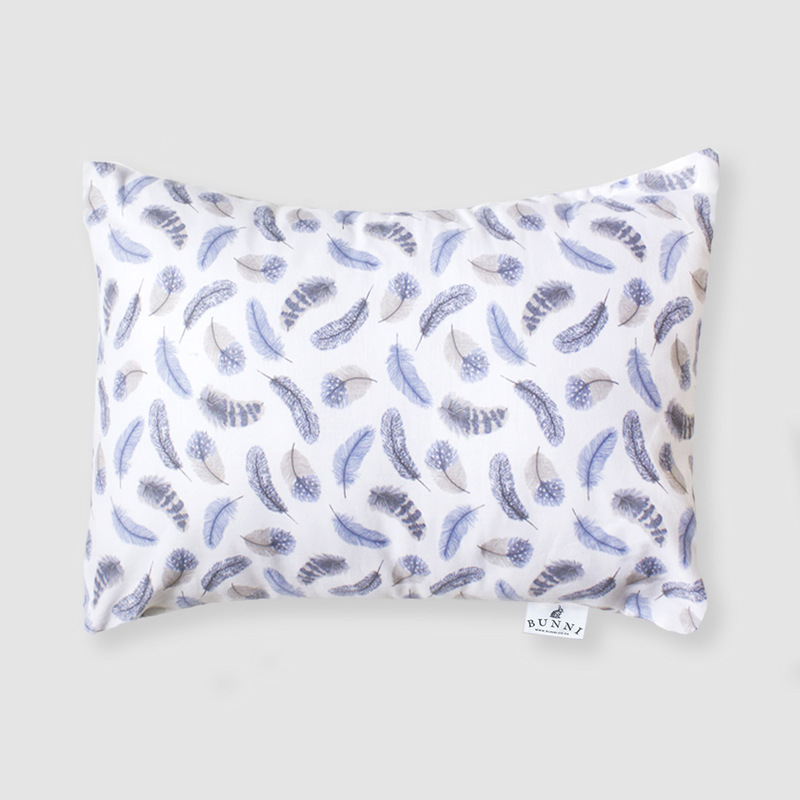 The Bunni Blue Feathers Toddler Pillow is perfect for your toddler’s bed, car trip, or nap mat! The cuddly Toddler Pillow can be used as soon as baby has outgrown the flat baby pillow, and as a scatter pillow. Our toddler pillows are handmade with love from 100% cotton chambray.